1 Joy to the world! the Lord is come: let earth receive her King. Isaac Watts (PHH 155) wrote this text as a paraphrase of Psalm 98. He published it in his Psalms of David Imitated (1719) under the heading “The Messiah's Coming and Kingdom.” The paraphrase is Watts' Christological interpretation. Consequently, he does not emphasize with equal weight the various themes of Psalm 98. In stanzas 1 and 2 Watts writes of heaven and earth rejoic­ing at the coming of the king. An interlude that depends more on Watts' interpreta­tion than the psalm text, stanza 3 speaks of Christ's blessings extending victoriously over the realm of sin. The cheerful repetition of the non-psalm phrase "far as the curse is found" has caused this stanza to be omitted from some hymnals. But the line makes joyful sense when understood from the New Testament eyes through which Watts interprets the psalm. Stanza 4 celebrates Christ's rule over the nations. 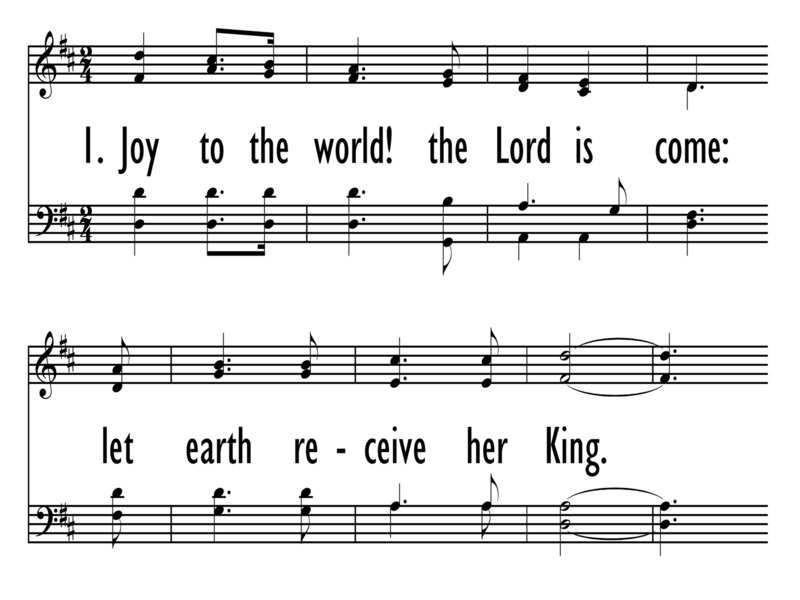 The confident and joyful proclamation of this well-loved carol is echoed in the conviction expressed in Our World Belongs to God, paragraph 18 that “our Lord set out on the long road of redemption to reclaim the lost as his people and the world as his kingdom.” As a result, “Jesus ascended in triumph, raising our humanity to the heavenly throne. All authority, glory and sovereign power are given to him” (paragraph 27). Victorious God, all creation lifts its voice in a cacophony of joyful praise. you have come to judge the world in truth and equity. joining creation’s chorus with our new songs of praise. Amen. but familiarity enables congregations (regardless of preferred genre or quality of musical leadership) to sing it well. Most hymnals present the hymn in the key of D, however many would find C more comfortable with a transition to the higher key for the final stanza. 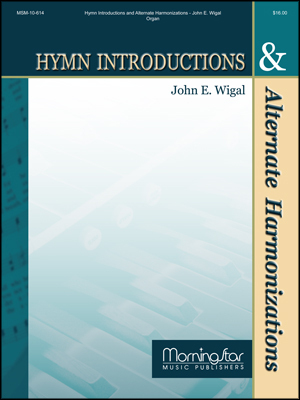 Indeed, this hymn is familiar enough that musicians can simply start the verse in a new key without any transitional interlude and the congregation will automatically adjust. “Joy to the World” is a perfect song for engaging children in worship. Most children already have the first verse memorized and can sing it with very little practice. Children (and adults!) are often eager to sing “Christmas” songs during the summer; the congregation may be surprised to study the text of this famous hymn and discover its broader appropriateness. Isaac Watts wrote this text as a paraphrase of Psalm 98. He published it in his Psalms of David Imitated (1719) under the heading “The Messiah's Coming and Kingdom.” The paraphrase is Watts' Christological interpretation. Consequently, he does not emphasize with equal weight the various themes of Psalm 98. In stanzas 1 and 2 Watts writes of heaven and earth rejoic­ing at the coming of the king. An interlude that depends more on Watts' interpreta­tion than the psalm text, stanza 3 speaks of Christ's blessings extending victoriously over the realm of sin. The cheerful repetition of the non-psalm phrase "far as the curse is found" has caused this stanza to be omitted from some hymnals. But the line makes joyful sense when understood from the New Testament eyes through which Watts interprets the psalm. Stanza 4 celebrates Christ's rule over the nations. ANTIOCH borrows ideas from two choruses and a tenor recitative from Handel's Messiah—"Lift Up Your Heads," "Glory to God in the Highest," and "Comfort Ye My People." The hymn tune is essentially an adaptation and arrangement by Lowell Mason, published in his Occasional Psalms and Hymn Tunes (1836). Mason named the tune ANTIOCH after the New Testament city in which the "followers of the Way" were first called Christians. With its exuberant air and melodic repeats and sequences, requiring the repetition of textual lines, ANTIOCH has become an enduring favorite for the Watts text. Sing Stanzas 1 and 3 in harmony and give tenors and basses solid accompaniment on their entries in the third line. Sing stanza 4 in unison, possibly with an alternate harmoniza­tion on full organ. Isaac Watts (b. Southampton, England, 1674; d. London, England, 1748) was a precocious student and voracious reader. As a youth, he studied Latin, Greek, French, and Hebrew. He declined an offer to study at Oxford and chose instead to attend an independent academy in Stoke Newington (1690-1694). From 1696 to 1701 Watts was tutor for the family of Sir John Hartopp, and in 1702 he became the pastor of Mark Lane Independent Chapel in London. However, ill health, which he had suffered for some years, took a serious turn in 1712. After that time he served the Mark Lane Chapel only on a part-time basis and moved in to the estate of Sir Thomas Abney to became the family chaplain, a position he held for the rest of his life. During the following thirty-six years Watts was a prolific author—writing books about theology, philosophy (including an influential textbook, Logic), and education, as well as con­ducting a voluminous correspondence. As a child, Lowell Mason (b. Medfield, MA, 1792; d. Orange, NJ, 1872) learned to play every musical instrument available to him. He bought music books and attended a singing school when he was thirteen, and soon began teaching singing schools and directing a church choir. In 1812 he moved to Savannah, Georgia, where he helped to establish the firm Stebbins and Mason, which sold musical instruments in addition to dry goods. Mason also adapted, composed, and harmonized tunes for The Boston Handel and Haydn Society Collection of Church Music (1821). 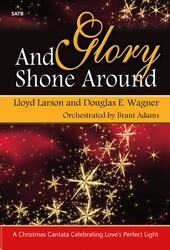 This collection was widely used and resulted in public demand for Mason to lead the music at singing schools, concerts, and Sunday school conventions. He moved to Boston in 1827 to become the music director in three churches; later he became the choir director of the Bowdoin Street Church. In 1833 Mason helped to found the Boston Academy of Music, which was instrumental in introducing music education to the Boston public schools in 1838. An advocate of Pestalozzi's educational principles (an inductive teaching method), Mason frequently lectured in England and the United States. A major force in musical education in the United States and in the promotion of European models of church music (as opposed to the southern folk-hymn tradition), Mason also encouraged the change from exclusive psalm singing to the singing of hymns in the churches. In association with Thomas Hastings, George Webb, and others, Mason compiled some eighty hymnals and collections, includ­ing The Juvenile Psalmist (1829), Spiritual Songs for Social Worship (1832), and, most importantly, Carmina Sacra (1841, revised 1852). Mason composed over eleven hun­dred original hymn tunes and arranged another five hundred, mainly from European sources. He derived most of his tune names from the Old Testament. Genesis 3 records one of the great tragedies in all of Scripture. Adam and Eve sin against God and are banished from the garden as God puts a curse upon the ground. It is a heartbreaking rupture in God’s perfect creation, and it is hard not to read this text without feeling a twinge of despair. And yet, before the curse comes a promise. God declares that the woman shall bear offspring that will crush the head of the serpent. Jesus, the Son of Man and Son of God, will come to break the curse, to renew the creation, to make whole what is now broken. In Psalm 98, all of creation is called upon to make a joyful noise before God, for the Lord will come to “judge the earth,” and restore his creation. We should not fail to see our own hand at work in the destruction of creation, in our sins of waste and decadence. This “judgment of the earth” is, in some part, a judgment of us as caretakers. But God is merciful and full of grace, and first gives us the Life-giver. In this beautiful hymn, Isaac Watts makes the connection between the coming of Christ into this world as Savior and Redeemer and is coming again as Judge. Christ brings “joy to the world,” a light where there is darkness, growth where there is decay. And we, along with all creation, respond with a song of praise.